Kay wrote this spiritual poem in October 2011. As Kay has never written any sort of verse before she believes this writing is being channelled from her guides. Please find and treasure me. When you find and treasure me. So when you look in the mirror of life you will see me. This verse is included in our book ”Love Is The Key” published in 2012. Kay wrote this spiritual poem in August 2011. As Kay has never written any sort of verse before she believes this writing is being channelled from her guides. And watch over your special life. So you will soar to great heights. So you will know you are Light. And are free to BE by Divine right. This verse will be included in our new book ”Love Is The Key”, and which we plan to publish in April 2012. Kay wrote this spiritual poem on 23 March 2012. As Kay has never written any sort of verse before she believes this writing is being channelled from her guides. Do you have clarity of your reality? Oneness is all that there is in reality. There is so much love waiting to be given to the Earth at this time. We need the Earth. We need the people on the Earth to ask for this love to be released – to be given. We see the need. We give when we are asked. One of the spiritual development exercises that we sometimes do at our weekly meditation group is to each randomly take a card from a special deck of small cards. Each card contains just one word printed on it. Then in turn we try to bring through (or channel) a small message related to that word with the help of our spirit guides. This message was brought through by Dianne, a member of our meditation group a few weeks ago. Her word was courage. Many of you are born with this word (courage) imprinted on your soul. You are not aware of it, but you need courage to see the things, and to face things that are ahead of you so you can teach those that are around you. Courage is something that you are born with and the reason is to make you strong and keep you strong. It is a gift. It is not your right but it is a gift to be cherished and shared. It comes alongside trust and love, because without courage you cannot accept all those other gifts. It is like love without love, there is nothing. See also Kay’s message about courage. We are always interested to hear what you think of these messages. 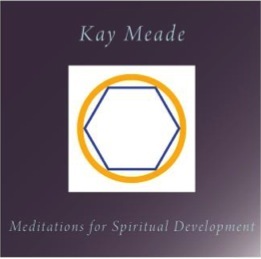 The following two related messages were channelled from The Circle of The Light of The Love Energy by Kay during the last two weeks at our Tuesday night meditation group. Greetings! In love we come as always, and we surround your group tonight, and we want you to feel the words we say. Not just with your ears. You cannot give love, until you love yourself. You have this energy available to you now. It is all nurturing. It is what you need but there is no point us just saying this. We need you to feel it. You need to love yourselves. The human being gathers around itself layers as it moves through its life journey and if the layers are such that they are protecting against the truth, they will not help. The following two related messages were channelled by Kay last week, the first during our weekly meditation group (or circle) and the second a few days later. Greetings! I stand forward and bring through the energy of love. You know this energy. This is the energy from which you come. Your energy still dwells from where you came and we know it very well. Let this be what you will be on Earth. Let the people you come in contact with know you as we do. You have the most beautiful energy, so please release it, please show it and let that beam from Earth return to the heavens above where we dwell and where you have dwelt with us and you are still with us. Never forget it. Your energy is in your human form and we have said it is with us too. So if you can accept this then stretch a little more. Remember your energy is divine, it is within you and without so is in everything that is. In your quieter times you may have awareness of what exists without and this awareness will stretch you to explore further in your human existence providing expansion that benefits the whole. Our new meditation CD is now available for anyone who would like to order a copy. Click on the link (red text) to order the CD. You will be taken to CreateSpace which is an amazon.com company where you can complete the order. I’ll hand you over to Kay to tell you about the CD and you can also listen to samples of the tracks. Hi, my name is Kay. I have been channelling a group energy that introduced themselves to me during meditation in 2009. They call themselves “The Circle of The Light of The Love Energy – the purest energy of all”. They are my spirit guides. They are teachers and they wish us to know what we truly are. In this CD we pass on two of their messages, in the form of guided meditations. Meditation has allowed much to happen for me. I enjoy the peace that it provides and the spiritual transformation that can take place when the mind is quietened. The first track, ‘The golden light of love’, gifts you the symbol (shown on the CD cover) of The Circle of The Light of The Love Energy. Your spirit guide will take you through the rainbow light to meet and receive enlightenment from the Masters of The Circle. Here is a short sample of this track, from part way through the meditation. The second track, ‘Energy visualisation’, leads you in a visualisation to manifest energy to demonstrate that you are more than just what you see in a mirror. You will be given instructions at each stage and allowed time to carry out the visualisation. Here is a short sample from the beginning of this track. Peter and I would love to know what you think of this. We would like to thank our friend Natasha at sofiagladys.com who supplied the music and handled the recording and sound production and did a great job.